Calling all mountain bikers and trail runners – entries are now open for the 2019 Husqvarna Classic Mid-Illovo MTB Challenge & Trail Run, with race options to suit the whole family. This popular event has limited entries so don’t delay in entering. The race starts on Sunday 28 April at Gwahumbe Game & Spa in Mid-Illovo in KZN. The serious mountain bikers can choose either the 60km Husqvarna Classic MTB X-treme or the 40km Safire Classic route, while fun riders have the choice of an 18km Gwahumbe Family Experience or the 10km route, which is free entry for the under 12s. For trail runners, the Farmers Agri-Care 16km or the 9km Gwahumbe trail routes offer spectacular trails through indigenous KZN bushlands and grasslands. Each year, the Mid-Illovo community benefits from hosting the Husqvarna Classic Mid-Illovo MTB Challenge & Trail Run, as proceeds from the event go towards community upliftment. Every entrant also has the opportunity to give back and help a child in this Midlands community by purchasing an Uzwelo School Bag, with a built-in raincoat poncho, for R150. Enter online at www.roag.co.za or contact ROAG on info@roag.co.za or 086 100 ROAG/7624. Entry Fees 60km Husqvarna Classic MTB X-treme R220 40km Safire MTB Classic R190 18km Gwahumbe Family Experience R160 10km Fun Ride R80 (free for under 12s) 16km Farmers Agri-Care Trail Run R140 9km Gwahumbe Trail Run R100 For more information, visit www.husqvarnaclassic.co.za. 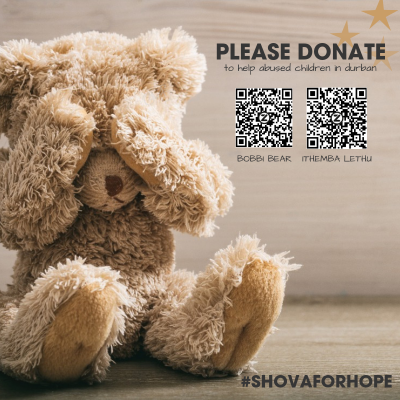 CLICK HERE to submit your press release to MyPR.co.za. . . .
#SHOVAFORHOPE – 4 Heroes, 106km, 2 Charities, 1 Goal Expand a Sign’s #SHOVAFORHOPE programme focuses on 4 HEROES, 106 KM for 2 CHARITIES - with 1 GOAL in mind – raising awareness and money for vulnerable children in KwaZulu-Natal. Three of Expand A Sign’s team is embarking on the gruelling 106km Amashova cycle race on a single-speedy bicycle this weekend. As uncomfortable as their bikes are, they are pushing themselves in a fundraiser and awareness drive for Operation Bobbi Bear and iThemba Lethu. Operation Bobbi Bear is a human rights organisation committed to helping sexually abused children in Amanzimtoti in Kwa Zulu Natal and iThemba Lethu helps restore hope and destiny in vulnerable children through various programmes, including Family Integration, Breast Milk Bank and HIV Prevention, We obviously can’t begin to tell you the full story of the incredible work these organisations are doing in our local communities, so check out their respective websites - http://bobbibear.org.za/ and https://www.ithembalethu.org.za/ Get Involved and Make a Difference We are looking for as little as a R20 donation to Operation Bobbi Bear or iThemba Lethu in order to reach our donation goal of R100 000. Share #ShovaForHope and get your team or family and friends involved in sending motivational messages to the Expand A Sign team cycling. Donate with Zapper South Africa or EFT by clicking here: www.expandasign.co.za/shovaforhope CLICK HERE to submit your press release to MyPR.co.za. . . . Global Brands Magazine, a leading international publication providing opinions and news about top brands across the globe, has announced that Tyson Properties has won its Most Trusted Real Estate Brand Award for 2018. “This comes at a time when we have even bigger news – sometimes numbers speak louder than awards and, over the past financial year, we achieved 100 percent growth despite the very flat market,” said Tyson Properties’ MD, Chris Tyson. The Most Trusted Real Estate Brand Award was just one out of two awards in the property category presented to South African companies. Global Brands, which is head quartered in the United Kingdom, prides itself in being an autonomous source of information about branding from across a number of different sectors. The Global Brands Awards were established to recognize performance excellence in the financial, hospitality, lifestyle, automobile and technology sectors. The awards also aim to identify and create awareness about the significance of exceptional service delivery. Every year, nominations are accepted from different countries and regions. Information supplied by the nominated brand owners together with a variety of information in the public domain is then adjudicated by an independent external research agency. More than 7 000 companies were evaluated for the 2018 awards. The Global Brands Award will be added to the collection of awards that are already proudly displayed at the Tyson Properties head office at Lion Match Office Park in Durban. “Winning an award such as this makes me extremely proud. It not only differentiates us from our competitors but cements our reputation as a company that can be trusted – one that values and conducts its business with honesty and integrity. Most of all, it is a recognition of the hard work of the 400 real estate agents and administrative staff that deliver on our promises on a daily basis,” said Tyson. Already the market leader in the KwaZulu-Natal . 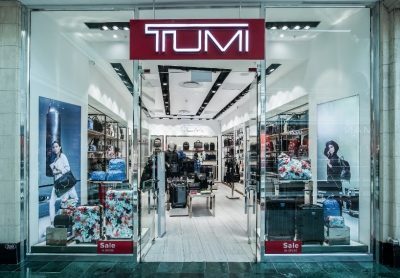 . .
TUMI, the leading international premium travel accessories and lifestyle brand, has unveiled its latest South African flagship store in Cape Town and a renovated Sandton City outlet. It will launch a new online store shortly. The latest addition to TUMI’s retail network is situated at one of Cape Town’s most prestigious and busiest addresses —Canal Walk shopping centre. Located in this popular mall, South Africa’s jetsetters and international visitors alike will be able to experience a brand which appeals to the individual accustomed to business-class travel, top hotels, and who also wants the ultimate in luggage. In addition to quality luggage and travel bags, TUMI stores offer business cases and travel accessories such as jackets and electronic equipment. The new store is the first bespoke, stand-alone TUMI store in Cape Town, enabling consumers to experience in the appropriate setting its world-class business and travel essentials. These blend flawless functionality with an aesthetic of ingenuity. “The TUMI brand is widely known in its US home market, as well as Europe, as an exclusive product. 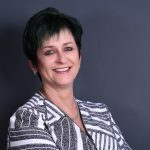 It is for this reason we opted for the upscale location of Canal Walk, which attracts a high percentage of international visitors, as well as discerning South African travellers,” says Tom O’Flaherty, managing director of TUMI Southern Africa. TUMI is marketed and distributed by a joint venture (JV) between TUMI Inc. and local businessmen, Tom O’Flaherty and Rob Kunze. The JV took local control of the TUMI brand in 2017 and the team set out a comprehensive expansion and marketing plan. 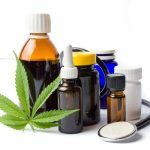 The brand has seen a 10 percent increase in units sold, which has been the result of a more diverse range of products being stocked, and pricing which has become more competitive comparative to international prices. The direct supply chain to TUMI enabled the JV to reduce the previous prices, he explains. “The JV also enables us to bring the latest products to the market much . . .
South Africa has a shortage of good Baristas. That’s why The Daily Buzz, which operates 12 coffee bars in corporate locations across Gauteng and an in-house coffee roastery, Craft Coffee, has launched the first South African developed and fully SETA accredited Barista training academy in Newtown, Johannesburg, this month (July). 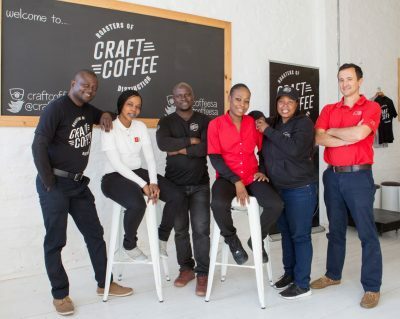 Craft Coffee, one of the premier artisan roasteries in South Africa, is headed by 2013 South African and All Africa Barista champion, Lovejoy Chirambasukwa, and has been an integral part of the unique blend that has made The Daily Buzz a huge success. Now, according to CEO, Andrew Brown, it will share another secret ingredient with the broader coffee community and help solve a critical problem – a shortage of Baristas. “South Africa’s biggest problem is unemployment. But every new coffee bar needs at least five new Baristas! So we want to improve the quality of baristas’ skills, employ more people and improve their earning ability,” he points out He says that the company’s Baristas have been the key to its success with both technical expertise and customer engagement being paramount. “Taking pride in the smallest detail, such as knowing repeat customers by name, has been a key differentiator for our business. We have proved the value of extensive investment in staff training and educate our staff as meticulously as we choose our coffee. There is very little they don't know about great coffee and excellent service,” he says. Already eight new students are en route to obtaining an NQF3 skills programme. The course was developed by the Craft Coffee team with the help of the SETA recognised specialists at THRIVE. After formal lectures in the classroom, trainee Baristas complete workplace assignments and present their ‘portfolios of evidence’ to the coffee gurus. The learner guide and workbook with which they are supplied provides a broad range of content that not only shows them how to clean and adjust a grinder so that it . . .
SOUTH Africa U23 champion Julian Jessop continued his dream month when he beat off the challenge of Tyronne White in a dash for the line at the 60km mountain bike race at the Husqvarna Classic Mid-Illovo MTB Challenge and Trail Run on Sunday. The 20-year-old Jessop - who is coming off a dream 12th position finish at the recent Absa Cape Epic and so claimed the prestigious African Jersey title with Matthys Beukes - and White approached the finish together. However the young PYGA Eurosteel rider had too much firepower for his more experienced challenger and powered across to line to win in a time of 2:32:08, two seconds ahead of White. Quattro ROAG Series leader Andrew Johnson claimed third position just 29-seconds further back and his third position in Sunday's second leg of the series, combined with his win in the opening leg at Wartburg in February, ensures the Ballito resident holds top spot in the race for South Africa's richest prize for a mountain bike series. David Low and Brennan Anderson rounded out the top five. 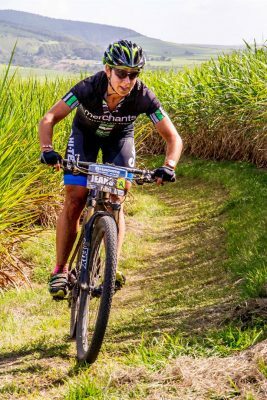 In the women's 60km race, Christie Leigh Hearder made her first appearance at a Quattro ROAG Series event of the year and notched up a convincing five-minute win to put the pressure on series leader Andrea de Boer. De Boer was second and keeps a firm grasp on the series lead going into the third leg at Karkloof in May, but will be aware that Hearder is lurking. One of the most intriguing dices of the day was the women's 40km Safire MTB that saw matric pupilÂ Tiffany Keep edge out Frances Janse van Rensburg by two minutes, while schoolboy Travis Stedman was clear winner in the men's 40km race. In the trail runs, Derek Wasserfall cruised to victory with Thierry Pletinckx just over two minutes off the pace in the 16km Farmers Agri-Care race while Mark Mackenzie was third. Mackenzie's third, when combined with his third position in the opening leg, is enough to move him to the top of the standings in the Quattro ROAG Series. Sarah . . .
Mid-Illovo – Stuart Marais is making a habit of winning mountain bike races this year with the latest victory coming in the Husqvarna Classic Mid-Illovo MTB Challenge and Trail Run on Sunday. In the main 60km race, the Howick mechanical engineer overcame a fall which could have proved costly, but he picked himself up and rode on to a solid three-minute win over defending champion, Mid-Illovo local Derrin Smith, who in turn was two minutes ahead of the in-form David Low. In the women’s race, young 16-year-old Tiffany Keep once again showed she is a massive talent by winning her first attempt at the longer 60km event. The Thomas More College schoolgirl beat off the challenge of Christie-Leigh Hearder with veteran Natalie Bergstrom claiming third. Both Marais and Keep were full of praise for the route which has been designed and created by local farmer Bruce Smith with the help of other local farmers in the area. “The trails were phenomenal,” said Marais. “They have obviously put in so much work on the course and they have made then absolutely stunning. Everyone said I’d enjoy the race – and I did! “I had a bit of a mishap on one of the bridges. My front wheel slipped out and I fell off as I was crossing it. Apart from that that I had a good ride and I felt really good. “This season I would like to try and make a bit of a habit of this winning,” he said with a laugh. Keep said she also “really enjoyed the single track” and it showed as she kept her older and more experienced rivals at bay on the fun-filled, but tough and testing course. “I’ve participated in the race before but on the shorter distances – today was the first time I’ve done the 60km,” said the South African junior road team member. In the 18km iNsingizi Trail Run Derek Wasserfall was dominant, outpacing Mark Mackenzie and Rhain Hoskins by almost three minutes despite a silly mistake which could have proved costly. Wasserfall, who also won the Husqvarna Mid-Illovo Trail Run in . . . 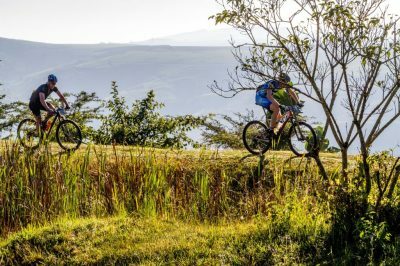 THIS weekend sees the fourth leg of the Quattro ROAG Series for mountain bikers and trail runners, and it represents a watershed for the popular KZN-based series which offers the biggest prizemoney of any mountain biking series in the country. With competitors needing to compete in six of the nine events to qualify as a series finisher, any rider who has not already taken part in one of the first three events needs to compete in the Husqvarna Classic Mid-Illovo MTB Challenge and Trail Run on Sunday to have any chance of qualifying for the R25 000 first prize. The Compendium Hill 2 Hill which took place over Easter saw two new leaders emerge in the mountain biking series. 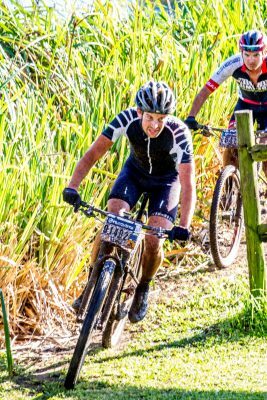 Leeroy Emslie’s fourth place in the tough 100km marathon from Pietermaritzburg to Shongweni allowed him to take over the series lead in the men’s category. His 202 point from three events put him a meagre 22 points ahead of Stuart Marais, who missed the Hill 2 Hill due to other racing commitments in Gauteng. In the women’s division, young Christie-Leigh Hearder’s consistent finishes has allowed her to open up a sizable gap in the standings. Her 246 points are a 60 points more than second-placed veteran Natalie Bergstrom. In the trail running log, Mark Mackenzie grew his lead and goes into the fourth event with a 57-point gap over David Mercer, despite finding the pace tough at the Hill 2 Hill trail run where he finished 12th. In the women’s trail running, Wendy Mills and Alison Wasserfall have opened up a huge lead over the chasing bunch with Mills in pole position on 260-points with Wasserfall 44 points back. 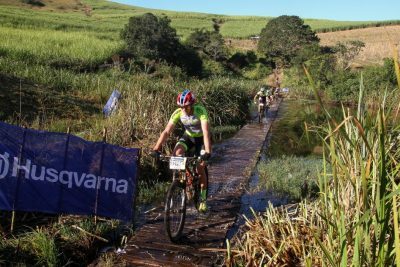 The 60km Husqvarna Classic is one of the most popular one day mountain bike events and the race organiser’s emphasis on superb trails means it is rare for a rider to not drive back from the event with a smile on his or her face. The event was also one of the first mountain bike races in the province to realise that a trail running event was a good addition to the day’s outdoor . . . The recently launched Westlake View Logistics Park in Modderfontein, Gauteng, is everything a world class A grade logistics park should be – well located, well designed and easily accessible. Situated within the Westlake View Logistics Hub off the N3 London Road off ramp, it is particularly suited to blue chip companies looking for a strategic position in a sought after location where land for development is limited. Westlake View Logistics Park is also something of a trendsetter. Speaking at the launch of Phase 1 of the Westlake View Logistics Park, Fortress Income Fund’s executive director Andrew Teixeira explained that this latest facility had been designed according to the latest global best practice and incorporated top grade safety and security features and best green building practices. 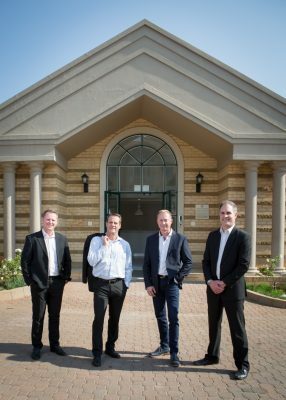 Fortress Income Fund – one of the top property funds on the Johannesburg Stock Exchange with a property portfolio worth over R28,7-billion – has strategically positioned itself as a provider of premier logistics and warehousing facilities for blue chip tenants in Gauteng, KwaZulu-Natal and the Western Cape. It has one of the largest logistics property development pipelines in South Africa. 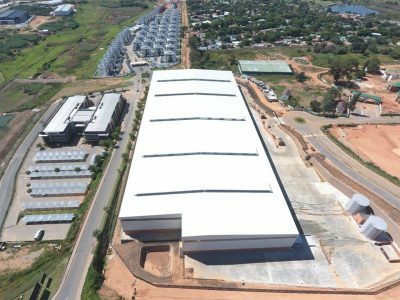 Westlake View forms part of the 1 million sqm of warehousing that is due to be developed over the next five years. This equates to a combined investment of approximately R8 billion. Teixeira said there had been growth in demand for warehousing in South Africa in recent years. Supply chain management trends had seen the consolidation of multiple distribution points into larger, centralised regional distribution hubs. Both the recently launched first phase of Westlake View and the second phase that is to follow facilitate this trend. In addition, Westlake View has been designed with other key trends in supply chain management in mind. Intelligently designed warehousing enables companies to weed out inefficiencies and wastage. “We help drive down costs through technology . . .